There are plenty of topics out there surrounding WordPress that talk about various tutorials, themes, and whatnot. But, one of the topics which not a lot of people discuss on the internet is – FTP. An acronym for – File Transfer Protocol, FTP was created somewhere in the 70s as a way to quickly transfer files between two computers. This protocol comes handy when you have to upload a file to a server from a personal computer. When web design was still in its initial days, this protocol was essential. Developers used to work on files, upload it to the server through this protocol the website visitors could view those files. But, the purpose it served wasn’t just for deciding the look, layout, and feel of the website. Every page that a developer added to the website was coded before it could be uploaded. Now the use of FTP has diminished greatly because so many CMSs have eliminated its usage to a great extent. But, it’s still not completely out of the picture. WordPress – one of the most popular content management systems has made it incredibly simple to manage and set-up a website. Today you simply need to click on a button if you want to add images or edit the existing content. There is no longer a need for a user to mess around or play with FTP or text files. This is why the interface today has become extremely user-friendly and intuitive. Today almost everyone can become a programmer. You don’t necessarily need to learn to code in a technical sense; all thanks to the emergence of content management systems like WordPress. Anyone who knows how to use a computer can set up a nice website without scratching his head much. Now with all that is said, the question arises – is FTP out of the picture? There are several methods out there you can use to install WordPress on your site. And, FTP is one of those methods. This method involves downloading the core files of WP and then uploading them to the server through the file transfer protocol. But, it’s not as simple as it may look. You need to first install the database of the website and create configuration files before setting up the credentials. To most users, this whole process is rather too complex which is why a majority of web hosting companies provide their users with a method that doesn’t involve FTP to install WP. Companies do that by allowing access to cPanel through which you can install WordPress with nothing more than a few clicks. Regardless of which method you choose for the WordPress installation (mind you there are several ways), in the end, the goal is same – it is to fetch the core files of WordPress and upload them to the server so you can run WP. When you connect to FTP, you can access files from a different computer. In this case, the computer is the server. What it means is you can view, edit, and add all WP files through this protocol. The same thing is applicable when you add a page to the website. Although you may do this with just a single mouse click through the dashboard of WordPress, your site will still need some files in order to read what each page displays. So in a way, WordPress is letting you do what users do manually via FTP and that is uploading and creating files to the server. This is the very reason that the connection between WordPress and FTP can never be lost. Do You Still Need FTP? With everything that is going on currently, a majority of WordPress users don’t know much about FTP if even anything at all. As a matter of fact, this content management system has evolved so much that a user may never have to do anything with FTP much less have any knowledge of it. WordPress does everything on its own. WordPress dashboard has an appearance section from where users can install and download plugins and themes and upload them back to the WordPress (if the files are already downloaded). With just a click, website pages can be added. There’s a default text editor which allows formatting and writing of content. Additionally, there’s the option of uploading media files directly from the computer to the media library of WP which are then ready for publishing. WordPress houses plenty of custom options that allow tweaking website appearance. Basically, all those things that used to be done via FTP cannot be performed through the WP Dashboard. With all that has been said above, it’s obvious that some of you might be wondering – exactly when does one need FTP? The simple answer is – for troubleshooting purpose. You are not going to need FTP for much of the everyday tasks associated with the managing of a website. However, in case something goes wrong, this little tool might prove of great value. Don’t worry. You don’t need to be a tech wizard in order to be able to use FTP. Just a basic understanding of FTP is enough for you to troubleshoot common WP issues. There are many plug-ins that WordPress supports, but not necessarily all of them are compatible with WP. Sometimes a plug-in may work just fine when installed in isolation. But, there can be times when two plug-ins cause conflicts when activated simultaneously. This mostly happens when the plug-ins are not updated which renders them incompatible with WP’s latest version. In most cases, plugins are accessible from the dashboard and you can simply deactivate them to eradicate the problem. But, there can be times when the solution is not so simple. If you have ever experimented with WordPress a little and played around with the plugins, you might have some time encountered a blank screen which is also known as ‘white screen of death’.This restricts your access to the dashboard which leaves no way for you to disable the plugin that is causing the problem. In such cases, FTP is the only way left to fix this issue. In order to access FTP, you will first have to download an FTP client. FileZilla happens to be one of the most popular FTP clients. To log in, you need your hosting credentials. In case you have trouble logging in, contact your hosting company. Once you have logged into FTP, you will be able to see all the files on the web server. From there you can remove the files that are causing problems. Deleting those files will uninstall the related plugin. On the left side of your screen, you should see files on your computer, and the right side displays server files. You can remove the plug-in from the right-hand side. You now should have access to all the plugins for your website. Delete the folder that is causing the problem and the same should be fixed. At the face of it, this might sound like a complicated task, but once you get the hang of the process, it should be relatively simple. You may face a little difficulty if this is your first time using FTP. If you face any trouble using FTP, you can contact your hosting company’s support team. Additionally, there are several WordPress tutorials that you can find helpful. One of the posts on how to work with FTP is covered by 000webhost. Content management systems like WordPress are becoming more and more sophisticated with each passing day. The refinements in these systems have largely rendered FTP useless but not entirely. As long as things are going fine, you would not need to use the FTP. However, in case things go wrong, you would need to use FTP as it provides the easiest outlet to fix things. 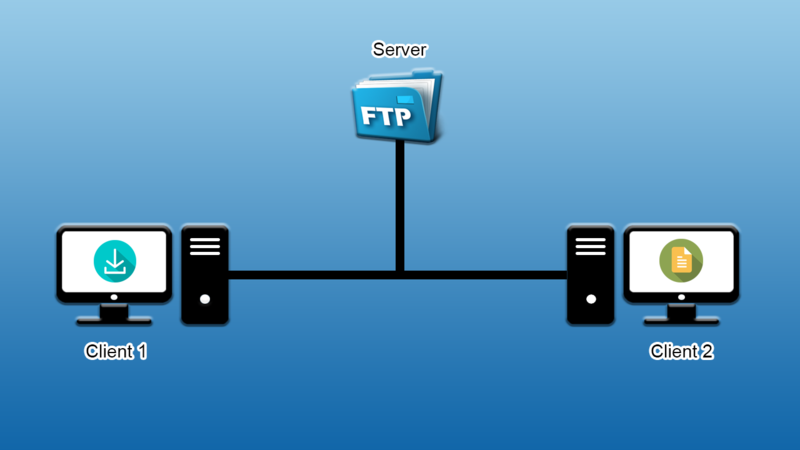 It is always good to have basic knowledge of how to work with FTP. This knowledge will make you confident in safely experiment with your website and you will be confident in fixing things on your own as well.